SuperFogeys - New Character: Violent Violet! In the spirit of Fan Art Week, I thought I’d throw my hat in the ring and, instead of drawing a character you already know and love, I drew up a new character you’ll be seeing in SuperFogeys within the next year or so–Violent Violet. Most of your are aware I’ve put my kids in the SF universe as characters. Dictator Tot is my oldest daughter, Elora, at 3 years of age. Cami is, well, Cami–completely true to who she was at 3 as well. This time, I went younger. 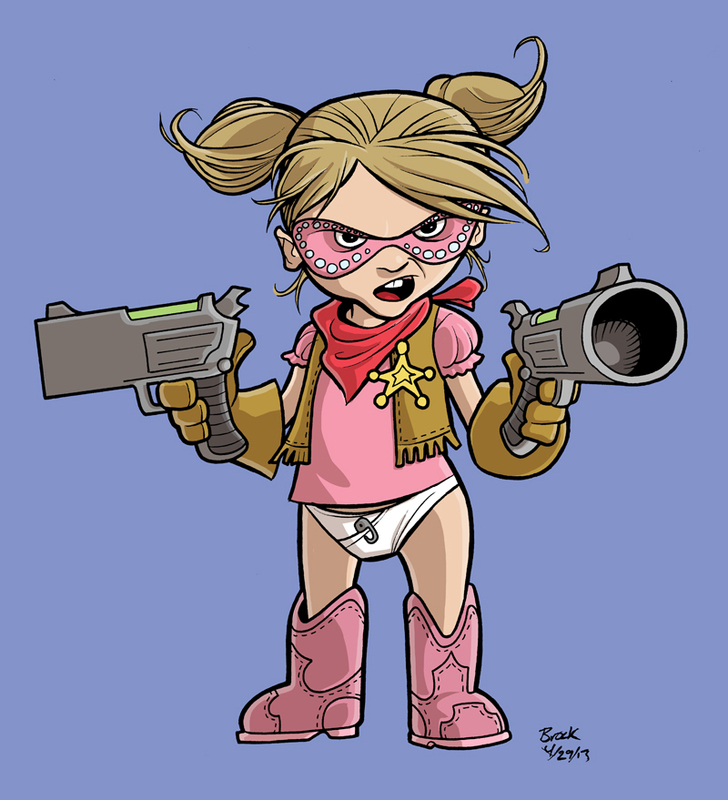 Violent Violet is based on my youngest daughter, Violet, at her current age–2. Violet is spunky. She causes trouble and smiles wherever she goes, so for her SF equivalent it felt right to make her a terribly cute villain. When you see Violent Violet in all her glory, she’ll be accompanied by Dictator Tot, her sister both in real life and in the strip. That’s all the backstory you’re getting for now. Look forward to Marc’s version of the character at a later date! Want to send in your SuperFogeys Fan Art? Hit me up at bwhheasley (at) gmail (dot) com. AWH I love her, way to go man, this is going to be great when these two team up.